Discussion in 'iPhone' started by Pagemakers, Sep 12, 2012. Is your black iPhone 5 scuffed, chipped or scratched? Flawless because I put a case on it. Do you think the black bezel, when scratched will show silver or is it black all the way through? is it black all the way through? No metal is black all the way through. The video looks like it is dyed throughout. Anadizing does this if I'm not mistaken. Should be similar to the iPods anodizing. Anybody have any pictures of ipods scratched? No it will show silver. Anodizing does not go through metal its just a coating or a built up surface done by electrically charging particles. Taken with iphone 4. Hopefully my iphone 5 will take better macro . All Military M16's and M4's are anodized aluminum. When they are scratched or dinged, it is bare metal underneath. Anodizing is only a few mils thick. Hmm. Not what I wanted to hear. Same thought here. The black looks slick, but once it gets scratched I don't want a speckled raw aluminum showing. Not that my 4s has anything after almost a year, but still, that one scratch I'll get on the 5 will hurt. It always is funny how people brag about how thin a product is and then cover it with a case. As for not scratching easy... based on Apples track record then you wont last an hour without a mystery scuff mark. Hard anodizing typically doesn't penetrate more than .1mm down, so any scratch deeper than that will show the raw aluminum color underneath. I think Apple screwed up anodizing the bezel black and I prefer all black devices. 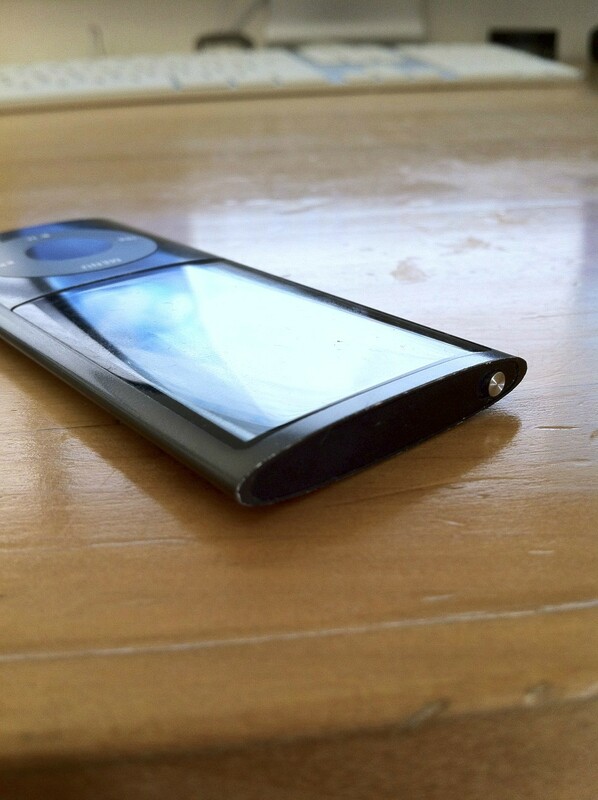 And if I have to use a case to protect the black bezel from showing scratches, then what's the point. Not sure Apple was thinking clearly on this one, considering the iPhone is a device that gets used daily and doesn't just sit on a shelf. I'm also worried about this, and its one reason I'm considering white again. If is wasn't anodized, then it would have to be painted and that would just be lame and make no sense. This is funny. I thought the exact same thing once I saw photos. I really prefer the look of the all black with black buttons. It's a shame it's just going to scratch and show metal. Apple should have thought or this! Almost makes me want to get the white now. Those scratches are really going to annoy me. Even a cover won't help. The buttons will still be exposed! Grrr! Anodizing varies. Hopefully Apple will do a good job. I have several black anodized fly reels that have seen a lot of action, drops, etc., and have no exposed metal. I was leaning towards a white one, but wow, the black looks nice. My 5 will be wrapped in a case asap...so I am not worried about scratches. I think we should give Apple a little credit... I'm sure they thought about this when designing the iPhone 5. Hopefully it won't scratch. This is disappointing. If it does indeed scratch there is also no easy swap in removing the back and replacing it with a new fresh unscathed back. It looks like it is raw aluminum under. If you watch the iPhone 5 promotional video around the 5 minute mark, you can see the silver flakes from the aluminum when they machine the bezel. With anodising, if you get scratches like on that iPod nano above, can you 'sand' down the rest so that the whole bezel goes all silver? Or is it physically impossible?